Graco Roadmaster Jogger Travel System Stroller!! RUN!! Experience 7 ways to ride with the Greco Modes 3 Essentials LX Travel System. It includes the Greco Snug Ride Snug Lock 30 Infant Car Seat, which attaches directly to the stroller frame. The reversible stroller seat allows baby to face you or the world and reclines to create to a cozy infant bassinet. The self-standing fold makes for easy storing. The extra-large basket, child cup holder, and Mix 'n Move dishwasher-safe parent accessories provide convenience when strolling with baby. 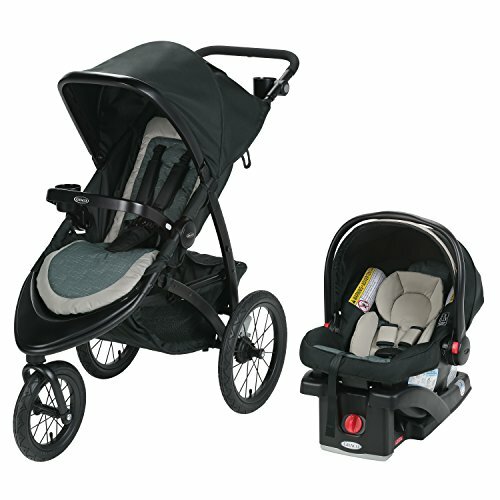 The Modes 3 Essentials LX Travel System keeps you ready for anything while on the go.